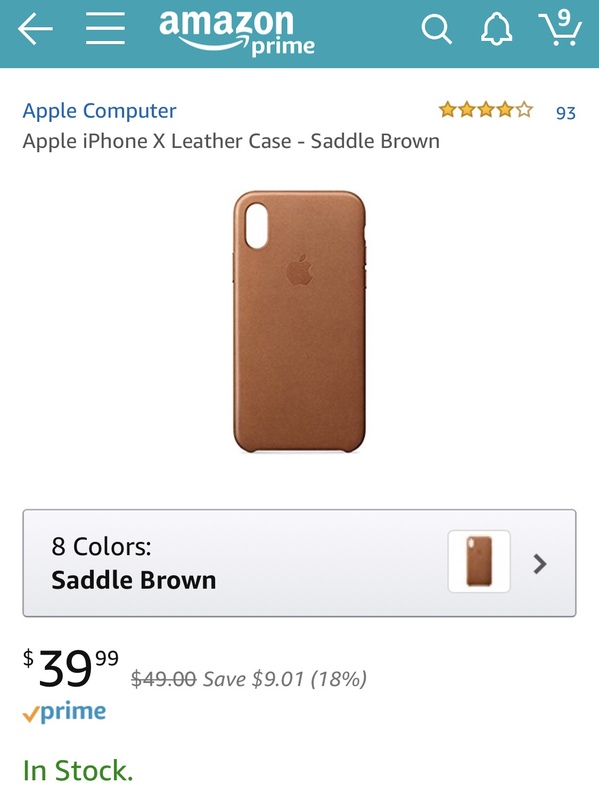 Amazon is offering $10 off on the Apple iPhone X leather case in saddle brown. Last edited by songbird; 02-01-2018 at 11:31 PM. lol i shoud've waited to buy!